Luxurious and more efficient than before. Softest riding and most stress-free SUV under £30,000. 1.6-litre i-DTEC is impressively refined and quiet. Petrol engine not as good as the diesel. Five-speed petrol automatic irritating to drive. 1.6iDTEC 160 prone to DPF problems if used for short runs. 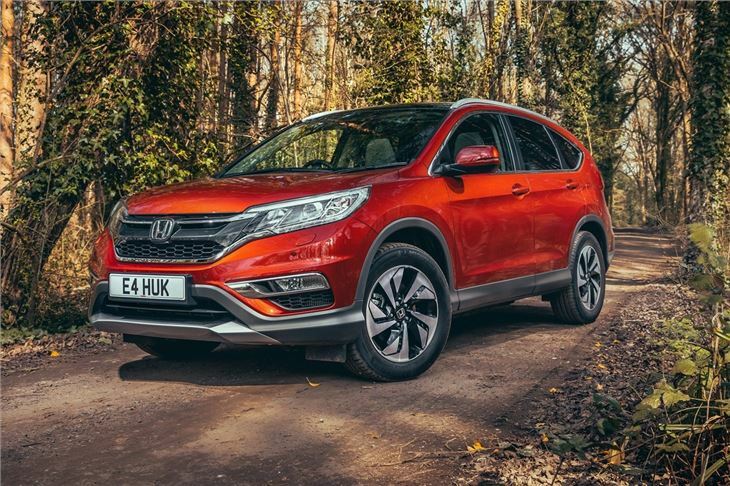 It's no surprise the British built Honda CR-V is popular. 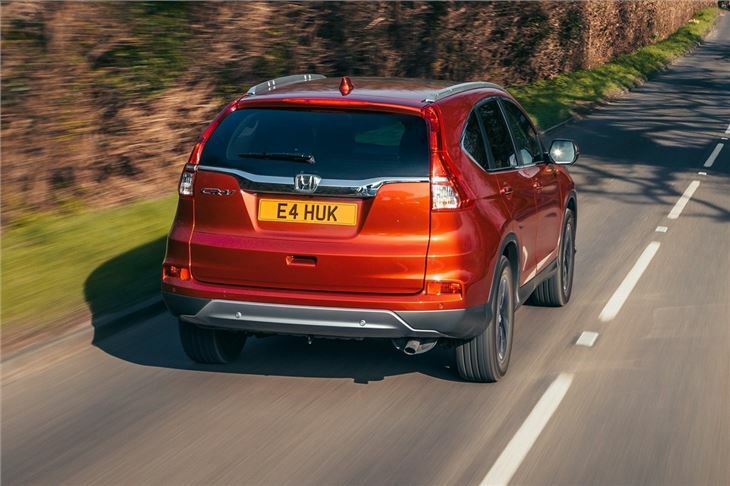 It's practical, well-built and spacious making it the perfect family car. Add in high levels of comfort and some of the best diesel engines around and it adds up to a winning formula. Entry level models are offered with two-wheel drive, but the vast majority of models come with an all-wheel drive system. 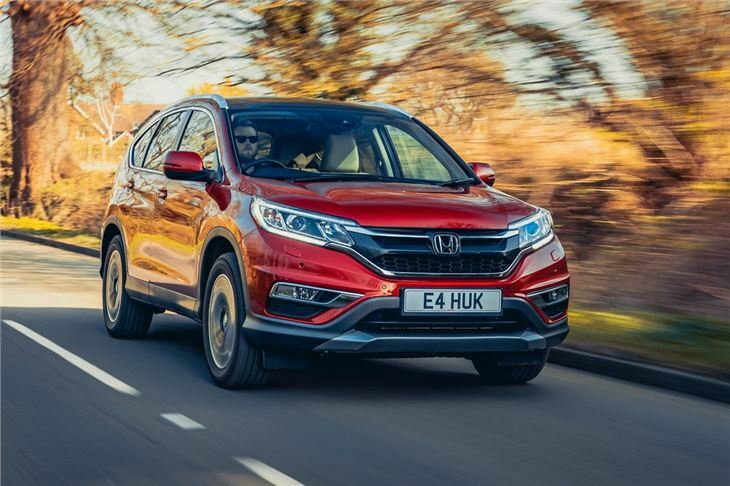 That’s not to say the CR-V is as cumbersome as a true off-roader though – it offers a smooth and comfortable ride with light yet direct steering. On the road it feels more like car than an SUV. It’s still as practical as before, with a large boot capable of swallowing 1669 litres of luggage with the rear seats folded flat. 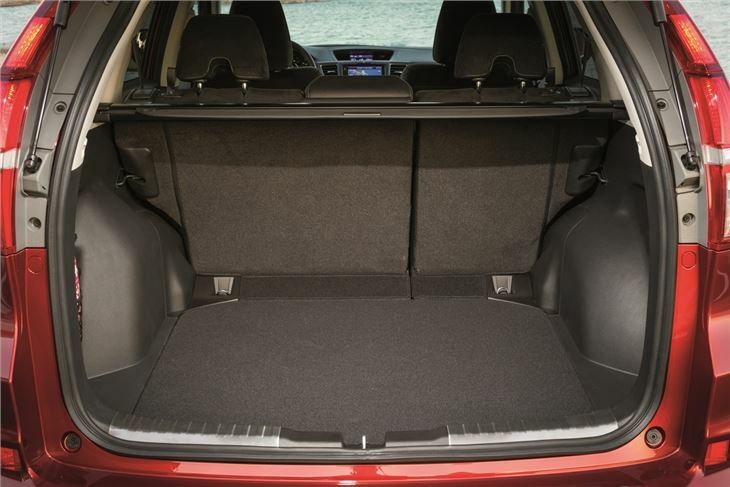 Even with the seats up the boot is still usefully large and there's ample space for three adults in the back. Leg and headroom are very generous, even with the front seats as far back as they go. There are also plenty of cubbyholes including a deep central storage bin and spaces for bottles and parking change. 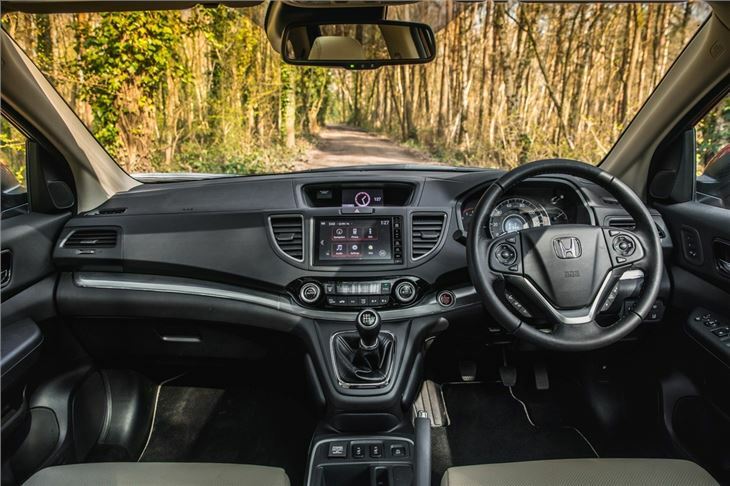 Originally there were two engines on offer – a quiet and versatile 2.2-litre i-DTEC diesel and a 2.0-litre i-VTEC petrol which is a little lacklustre in comparison. 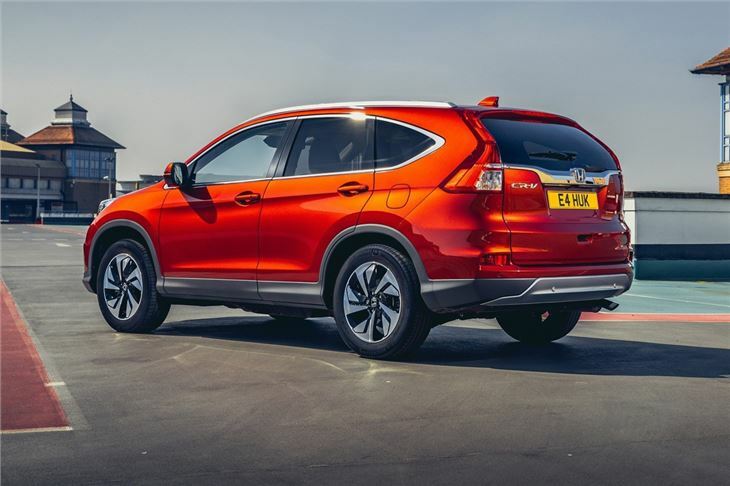 When the CR-V was revised in 2015 with a subtle redesign on the outside and a vastly improved navigation and infotainment system inside, it also had an engine update. The 2.2 i-DTEC was dropped and in its place is a 1.6 i-DTEC which actually has more power with 160PS plus is more economical. 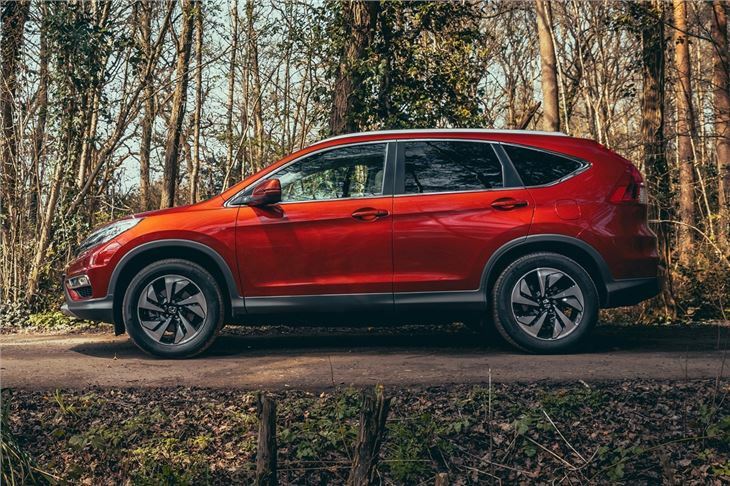 You can also get the CR-V as a 2WD with a low powered version of the same engine. At the same time Honda replaced the old five-speed auto with a much superior nine-speed auto which suits the relaxed nature of the CR-V perfectly. Economical, comfortable, quick, reliable, brilliant. Has turned into an absolute lemon and Honda have little interest - luckily it is still on warranty! !